I always thought of the story of meeting the devil at the crossroads as an American Blues tradition, but it turns out that idea goes back a long, long way! 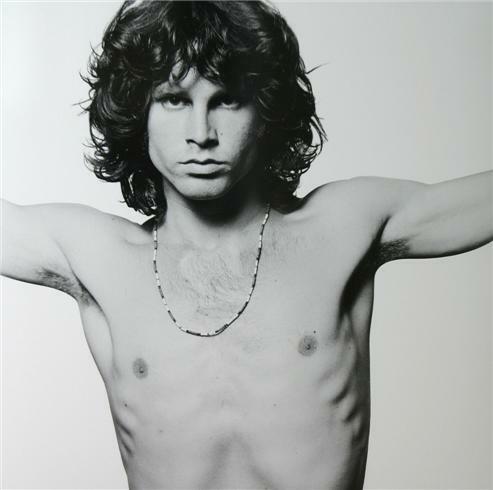 In this case, our rock star reminds me of that one iconic image of Jim Morrison. Yeah! That's the one. Such a famous photo for someone who looks so incredibly bored. The funny thing though is that if you search for images of Morrison on Google, this appears to be his ONLY facial expression. See for yourself! Despite all his money and fame and big-boobed, beautiful women throwing themselves on his gangly, sickly-looking body, for playing the music that he loved, he never appeared to be anything so much as apathetic. This is also sort of related to the warning about genies (be careful what you wish for) and a comic I published in January titled Life Lessons. Also, funny and ironic that the devil is described as the "prince of lies" and many people believe he's the snake in Genesis (although I'm not sure that's ever actually stated). There's just one problem. If you read Genesis carefully, you'll notice that Yaweh does an awful lot of lying and the snake actually is completely honest! And that's where this story comes in - the devil here is telling the truth, but for his reputation, our rock star doesn't believe him. Until it's too late. D'oh! Of course this story could go a few different ways. He could stick to his guns like he did here, or he could opt for some other exchange or he could just decide that his soul is too valuable and give old Scratch a finger instead. Like last week's comic, this is a two-page spread (shown together), and is supported by our patrons who can see the alternate ending here. Are you curious? If you're not already a patron, you can see this alternate ending on TopWebComics until the next voting incentive is posted. I'll be at RathaCon in Athens Ohio on May 9th and then at SPACE in Columbus on July 18-19. If you're in the area, stop in and say hi!